You may have a bad hair day, a bad emotional day, or a bad day in regards to skin when you wake up on a new day. Also, you may just wake up, look into the mirror, and get to know that you need to get a dental treatment. Why? This thought may arise if your tooth is hurting you, it can be irritated, or it just looks bad when you smile or talk. It may damage your confidence or affect your quality of life badly. 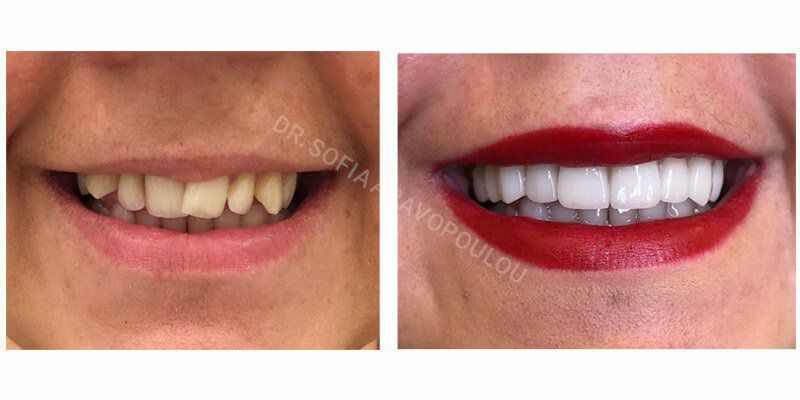 Whatever the reason is, if you think you should get a beautiful smile and good oral health, then dental veneers can prove as the best option for you. Let us share a personal story with you with our patient’s consent. Rebecca has got tooth replacement treatment from Doctor Sofia. Read on to know more in this regard. It will help you to get a clear idea about this treatment. Rumaisa is a young girl. She has a fractured tooth. That tooth is disturbing for her and affects her life badly in many ways. Now, she is about to lose her tooth because of decay. Her mother took her to different dentists but didn’t get satisfactory options. One day, she got an appointment and visited Doctor Sofia at Euromed Clinic to discuss the problem. She got her daughter ‘Rumaisa’ with her. She needed my (Dr. Sofia) help to let her daughter know what can be the good option for her to save her tooth. Also, she would like me to convince Rumaisa to go for the best treatment. Have a look at her personal story. Has she got successful treatment? Did the procedure become successful in providing her desired results? Read this story to know the answers. Hi, I am Rumaisa, a 20 years old girl. 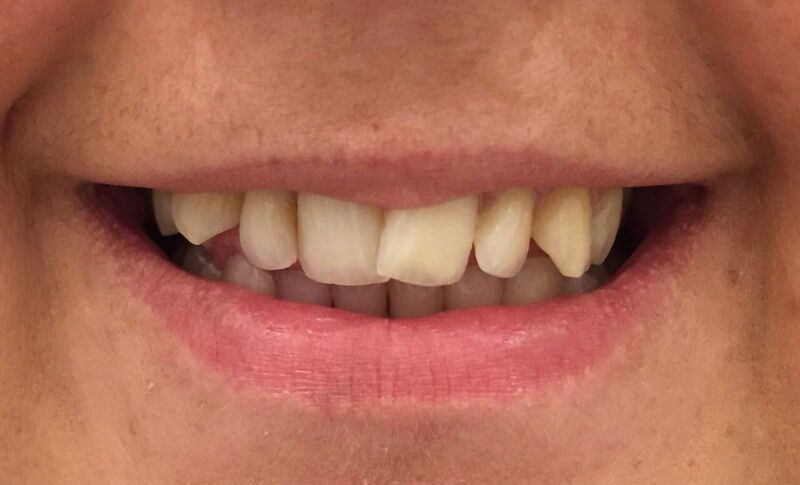 Currently, I am living in Dubai and have got my tooth fractured in a traumatic event. My fractured tooth was becoming problematic for me and I asked my mother to get the appointment with an experienced dentist. She got to know about Doctor Sofia from one of her close friends. I and my mother got an appointment and visited her. The consultation session went very well. I got the answers to all my queries. She got my medical history, know my presenting complaints, and my expected results. After that, she examined my tooth and just not focused on the specific tooth but she checked my all teeth. She described my problem, what can be consequences, and what treatment option can be best for me. I got impressed by Doctor Sofia’s personality. This session served as a learning experience for me. We decided the time of treatment and she explained me all precautionary measures and preparation instructions. On 3rd January 2018, I reached the clinic at 2:00 pm. The time was decided by both of us. She examined me, and then start the treatment very professionally. She elaborated the important points so that I may not feel hesitated during the procedure. She also asked me to go for an x-ray that is required to check the inner roots and situation of the tooth. In addition to it, there is the requirement to know if the tooth is safe from any kind of infection or not. After these steps, she has decided the next day to my visit to perform further. My next visit was on 10th January 2018 as discussed. I reached the clinic at 11:00 am. She again checked my teeth before moving forward. She removed ½ millimeter of enamel from the tooth surface. The purpose was to make some place for the veneer so that it may not look artificial. 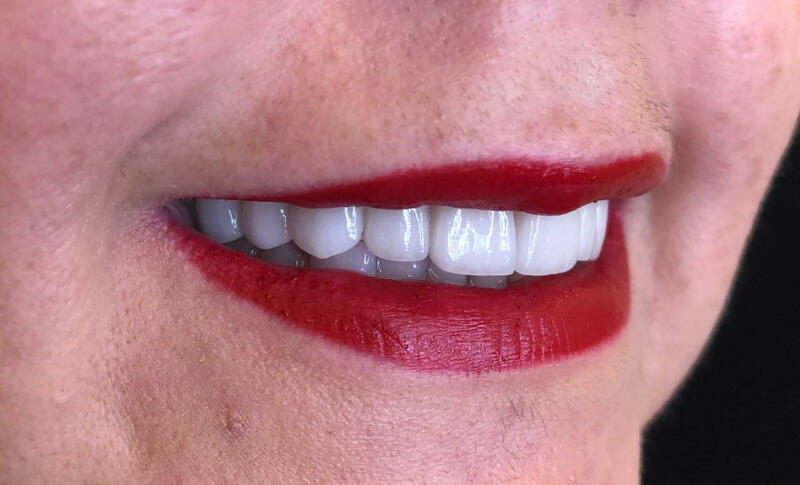 Before trimming off the enamel, she discussed if I need local anesthesia or not. Well, I am quite coward so when she asked for local anesthesia, I said yes for its application. So, she numbed the area before removing the tooth enamel. After that, she took the model of my tooth. She took that in a very professional way. Then, she sent this model to the laboratory for the making of veneer. After that, she scheduled the next appointment on the arrival of veneer. She asked me if I need a temporary veneer and I denied. I got my next appointment in 10 days. This was the time when she took the veneers back from the laboratory. She checked the color and size. Then, she polished and cleaned the tooth to prepare it for receiving veneer. Everything was perfect. She adjusted the veneer to the prepared tooth. A specific light beam was applied on the veneer to activate the specific cement. After that, she just performed the final steps by removing the excess cement, evaluation of my bit, and making final adjustments. She asked me to check each and everything and let her know if I faced any issue. She also scheduled a date for the follow-up visit. Before leaving, she told me important instructions to care. I got amazed by observing the results. She is a professional and she knows what the patient needs. I would say that she has magic in her hands. Not everyone is an artist, but she is. She just not saved my damaged tooth but also provided it the look that makes my smile more beautiful. It just seems real and no one can diagnose that I have any treatment there. It wouldn’t be wrong if I say her the most experienced dentists in the town I have ever met. I am pleased with the services and results. 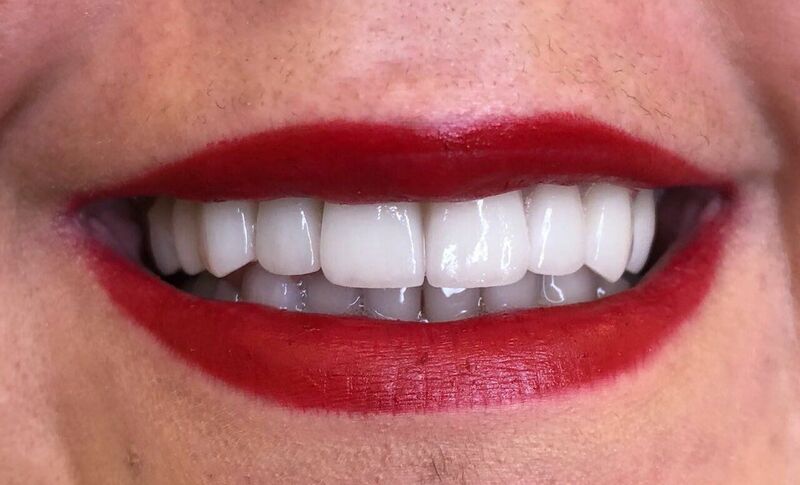 Now, I am feeling more confident and it seems good to have beautiful teeth. Also, oral health is important to keep yourself healthy, so now I feel healthy. I really recommend dental veneers in Dubai. 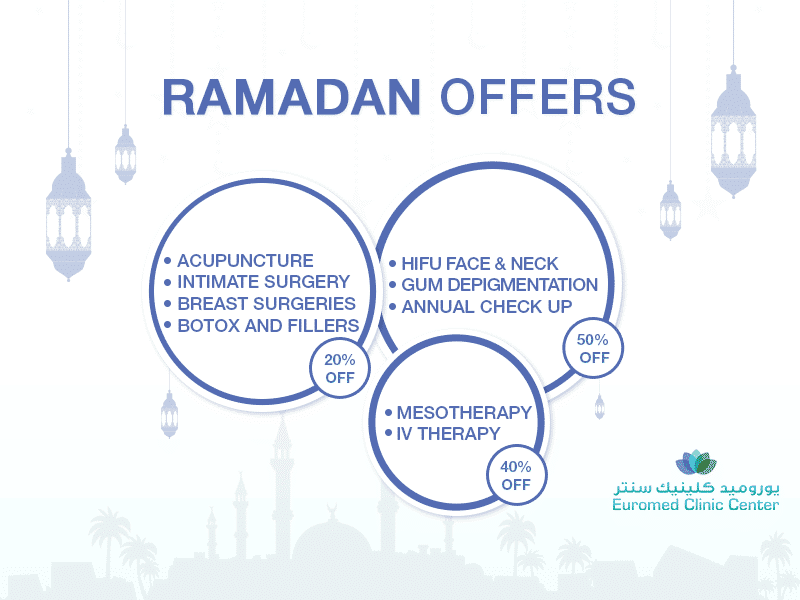 Euromed Clinic is the best place to get your dental treatments as they have Doctor Sophia. Now, I don’t feel hesitation to smile. Both I and my mom are happy with the results. I couldn’t be happier with any decision in my life.